The Chinese New Year is just around the corner, which means that for a couple of weeks there will be pretty much no new announcements from our Chinese partners. That also means that if you plan on acquiring a new Mini PC from China you might think about ordering now, otherwise there will be delays. So I've compiled a list with some of the most attractive offers available now. 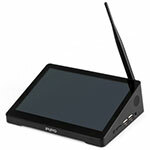 We recently presented here on Mini PC DB the newest version of the tablet -Mini PC combo with an 8.9'' screen (Pipo X9S). We also have a detailed comparison for Pipo X9 vs. PiPO X9S, you should check it out. If you need a cheap Windows 10 Mini PC, the previous version is now available for $136. Link to the Pipo X9 on GearBest. Sunvell T95 is a cheap and good looking Mini PC, one of the cheapest Amlogic S905 devices out there. We briefly covered it here. One thing though: the specs might not be correct, as initial reviews reveal that the devices does not have Bluetooth and dual-band wi-fi. Sunvell T95 is now available for $39. Link to the Sunvell T95 on GearBest. 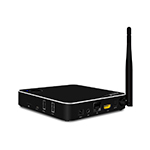 The article about Beelink M18 is very popular here on Mini PC DB. 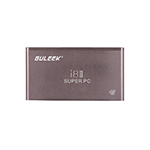 The little Amlogic S905 device comes with 2GB of RAM and 16 Gb of eMMC storage. 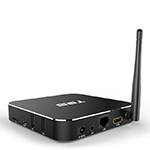 Beelink M18 is now available for $64. Link to the Beelink M18 on GearBest. We've covered the Guleek i8II a while ago, a 3000 mAh Windows 10-powered powerbank. Just kidding, but the device does come with Win10 and it does have a built-in battery. And at the current price, I guess you can use it as a powerbank. Guleek i8II is now available for $78. Link to the Guleek i8II on GearBest. Rikomagic's Windows 10 Cherry Trail Z8300 device is one that probably deserved more attention. 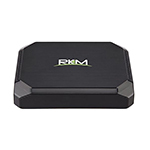 Rikomagic MK36S is now available for $119. Link to the Rikomagic MK36S on GearBest. According to Analytics, there's a significant amount of visitors from China on MiniPCDB.com. Happy New Year, guys!